The Garmin GPSMAP 740s comes with all of the great features in its arrival. The device has been built with simple and intuitive touch screen. The display brightness can easily be adjusted when the users need to and also they can dim during darkness. The device comes with 7 inch display which provides all of the vital fishing and location data. It has been featured with the BlueChart g2 Vision SD card also. The device has 3D view of the location both above and below the waterline. This is a very essential part for a fish finder. It has been featured with also Hi-res satellite imagery. And many more features that has made this device one of the most particular one. So customers don’t need to worry about the lacking of this device. This has been featured and arranged in a user friendly way. Users must feel comfortable while using this device. Q: Does this device come with a transducer? Q: How can I delete waypoints? Q: Does it come with a mounting base? 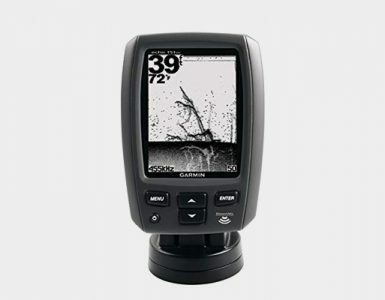 This fish finder has been featured with high-resolution touch screen display. The device is fully rugged and waterproof. It has been featured with WxH: 6.0″ x 3.6″, 7.0″ diagonal screen. This big screen will help users to view all the data in premium detail. The screen has a resolution of 800 x 480 pixels. The interface of this device is intuitive and provides a simple operation. The device has touch screen facility that helps users to make quick and easy navigation. The device has also offered quick input to its users. So whenever you need to edit a route, track or waypoint, the screen automatically becomes a keyboard. The screen has also brightness adjusting facility. So when to use during night one can switch to low-light to reduce energy consumption. The device comes with a 1kW-capable sonar transceiver. This powerful sonar is enough to help user define fish targets. It is quite powerful for identifying underwater structures as far down as 2,000 feet. The device has optional BlueChart g2 Vision SD card. So users can add new dimension of exceptional features to their chartplotter. The device’s Mariner Eye view and Fish Eye view provide a 3-dimensional perspective of map information, which works on both above and below the water line. This product provides satellite images with high resolution quality. The device also helps users to get aerial photographs. It includes auto guidance technology that searches through all possible charts to create a route user can follow. The depth capacity of the product is dependent on water salinity and other water conditions (1 kW transducer). Radar is one of the necessary things that a fish finder device should include. Considering customer’s full satisfaction this model of fish finder has also this feature built in itself. GPSMAP 740s has a built-in radar port. This one can be interfaced with Garmin’s line of affordable GMR marine radar system facilities. So this is an amazing particular feature that this device has. The product has GMR 18 HD radar that offers a whole new level of radar scanning capability. No matter when the user is adding radar now or in the future, they are going to be happy with the convenience of plug-and-play installation. And also with the power, it’s range and high-definition targeting of this device’s amazing s proven radar offerings. So customers are going to add an extra dimension in their fish finder device. 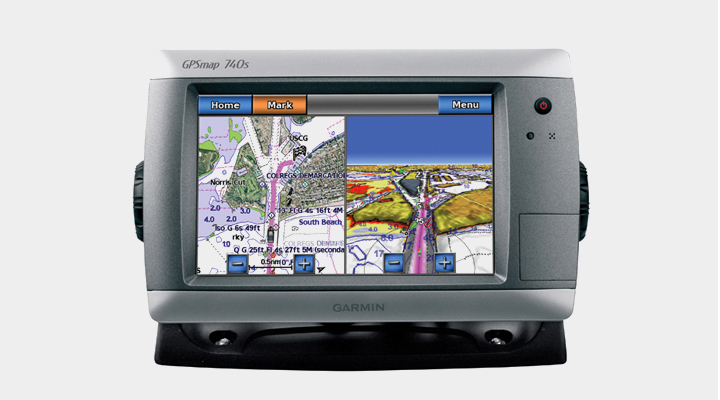 With all other magnificent features this GPSMAP 740s come with extra quality that fulfils a customer’s whole want. The device contains preloaded map data for all U.S. coastal areas. Map data including Alaska and Hawaii and also plus Explorer Charts for the Bahamas. The product also features an internal built-in GPS receiver. This high-sensitivity GPS receiver is provided for optimum satellite tracking. This high quality GPS receiver also provides quicker acquisition times. Considering customer’s premium satisfaction it has been arranged with some extra benefit. Another magnificent feature that this device has in it is, this device can receive graphical weather data for North America through the GXM 51 satellite antenna. So this is going to be a great one for fish finder lovers. The GPSMAP 740s supports touch screen facility. So Input is easier now than ever before. 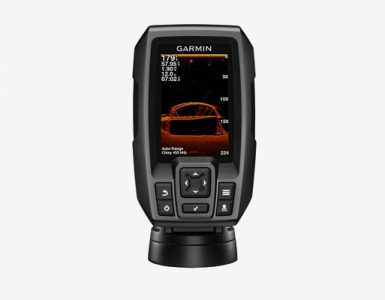 This is an advanced feature for fish finder device because the world is looking for faster performance everywhere. When users change course or simply review other information in front of them, the intuitive touchscreen interface makes for simple operation. Another feature related to this of the device is its flexible brightness level. The GPSMAP 740s provides flexible brightness levels for daytime readability. So users can feel comfortable while using under any situation. Also, the feature comes with low-light dimming during night use. It has a great widescreen display that’s rugged and fully waterproof. This one is made in such a way so that it can perform in any particular situation. 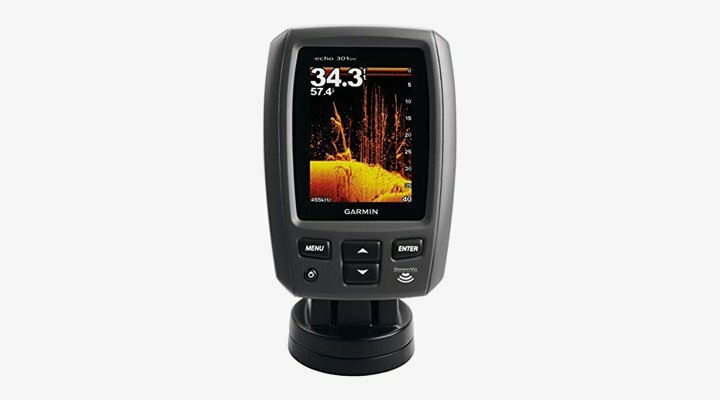 So if you are finding an accurate GPS and fishfinder this one should be in your favorite list. But customers have to buy G2 maps to get the most out of the GPS. Starting from touchscreen to other features are overall great. Anyone can adjust sensitivity and use gloves. The device supports automatically adjusts screen brightness. This fully depends on the condition of light. The device has great graphics module with a lot of options. Above all, if you want to get an ideal fish finder this one is perfect for you. Enjoy this product in your fishing time. A: Sorry to say that it doesn’t. A: To delete waypoints, you need to go to waypoint list and delete one at a time. For more information, you can call Garmin. They are really very helpful. A: No. all are needed if you want to use radar and depth sounder functions. A: Happy to say that yes it does. you can take it anywhere with you.